Leading up to the Wichita Pride Festival comes several inclusive events including the Find Your Pride – Photo Scavenger Hunt, Wichita Pride Drag Show, Wichita Pride Family Picnic and Wichita Pride Parade. 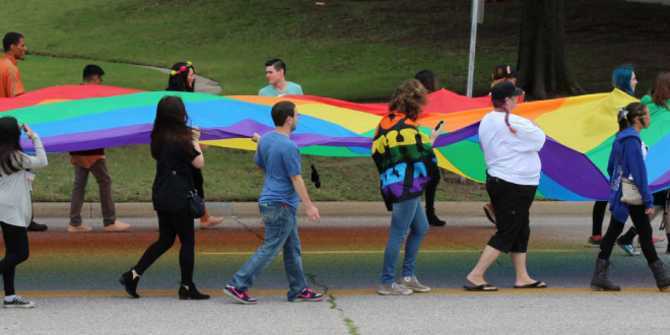 Bringing in more than a thousand people each year, the Wichita Pride Festival incorporates groups of all ages, with passionate outreach to teens and youth who might be struggling with who they are. Wichita Pride Weekend offers an avenue of exposure and awareness to the LGBT community, as well as a way for people to come together to ask questions and to experience a different side of Wichita. While events within the festival may be added or changed every year, Hooper said the feel of the LGBT+ community in Wichita has always remained the same – open and diverse. “There is something for just about everyone,” he said. So, it doesn’t matter who you are or what you believe in, Wichita’s LGBT+ community wants you to know you’re welcome at any of its events because Wichitans stand together in love, acceptance and pride.